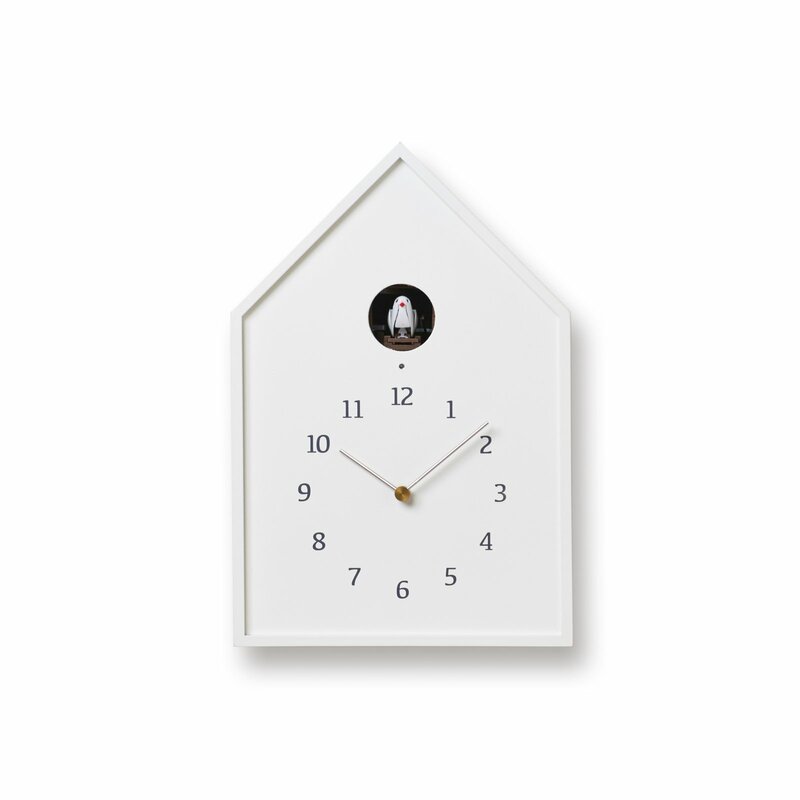 The Lemnos White Birdhouse Cuckoo Clock is a cuckoo clock that tells the time with a lovely sound and the murmur of a brook. The form of a simple birdhouse with a triangular roof was made by assembling basswood plywood. The numeric font on the clock can be seen clearly even with its modest style, and the metal hands become an accent. An intelligent light sensor built into the clock will automatically turn off the cuckoo’s movement when it is dark so as not to disturb you at night. She will then wake you up as the morning sunlight enters your room.